Have you been saving up? Stealing the change out of your friends’ cars? Selling your organs? 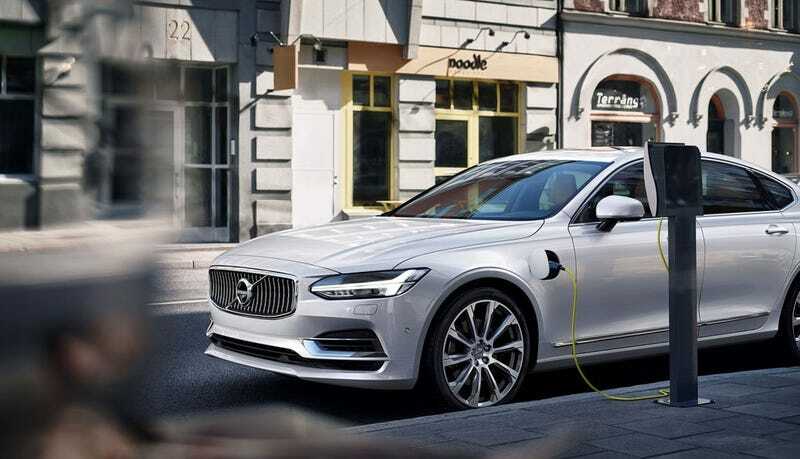 Well if you weren’t, start now; the 2017 Volvo S90 starts at $47,945 buckaroos, or roughly the value of a few of your organic bits you may or may not need that some would be interested in purchasing from you. The base T5 FWD T5 Momentum trim starts at $47,945; that’s the 250hp turbo four. The fancier T5 Inscription trip starts at $51,445 for FWD with a little more luxury and stuff. The AWD T6 Momentum trim will run for $53,495 with a big bump up to $57,245 for the nicer and top-of-the-range T6 Inscription, both of which are turbo- AND supercharged for 316hp. Volvo also announced that the chauffeur-special 2017 XC90 Excellence (that’s the real name), which ditches the third row to give those who prefer to be driven in their Swedish get-up more s p a c e, starts at $105,895 with the 400hp plug-in hybrid setup. Unfortunately those of you interested in purchasing any of the S90 trims or the XC90 Excellence wont likely be able to find the black market to sell your soul and organs to, but comment your interest and available organs below and it should find you.